LEGO Mindstorms EV3 Education Core Set! 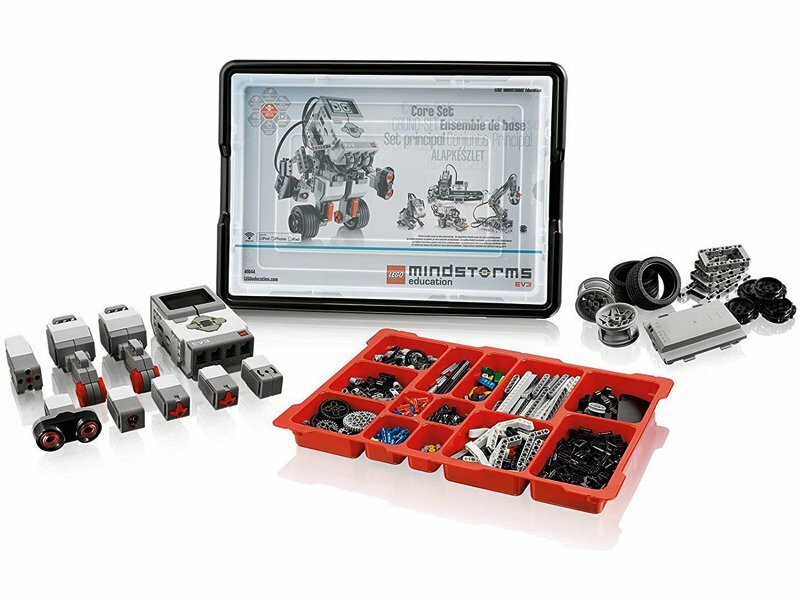 This core set 45544 is optimized for classroom use and contains all you need to teach using LEGO MINDSTORMS Education EV3. It enables students to build, program, and test their solutions based on real-life robotics technology. It contains the EV3 Intelligent Brick, a powerful small computer that makes it possible to control motors and collect sensor feedback. It also enables Bluetooth and Wi-Fi communication as well as provides programming and data logging. Students are encouraged to brainstorm in order to find creative solutions to problems and then develop them through a process of selecting, building, testing, and evaluating. This is also an excellent way of getting students to talk to each other and cooperate as well as giving them hands-on experience with an array of sensors, motors, and intelligent units. Printed building instructions for the Robot Educator model are included in the set, and instructions for four additional models are included in the software. The set also comes in a sturdy plastic storage bin with a sorting tray for easy classroom use and organization. Software included. Three interactive servo motors with built-in rotation sensors. Color sensor, gyro sensor, ultrasonic sensor, and two touch sensors. LEGO Technic building bricks for creating a vast variety of models. 45517 LEGO Education Mindstorms EV3 10 VCD transformer not included. Design and build programmable robots using motors, sensors, gears, wheels and axles, and other technical components. Understand and interpret two-dimensional drawings to create three-dimensional models. Build, test, troubleshoot, and revise designs to improve robot performance. Gain practical, hands-on experience using mathematical concepts such as estimating and measuring distance, time, and speed. Communicate effectively using scientific and technical language.